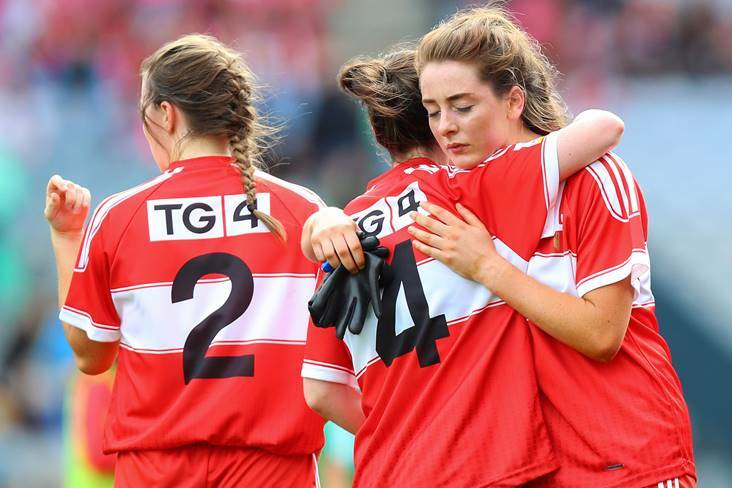 Louth's Eimear Byrne and Michelle McMahon dejected. ©INPHO/Tommy Dickson. Darren Bishop has been reappointed manager of the Louth ladies footballers for the coming season. The Monaghan native only took up the reins in June following the passing of his good friend Míchéal McKeown after a short illness. McKeown had asked that Bishop take over from him before his death and he went on to lead the Wee County to an All-Ireland junior final appearance against Limerick at Croke Park. Meanwhile, Enda Sheridan is the new Longford ladies football manager. Sheridan has enjoyed success with both the Killoe and St Loman's ladies teams in recent years and guided his native Castletown-Finea/Coole/Whitehall to a Westmeath JFC title in 2016. He was heavily linked with the vacant Westmeath manager's position, but will wear the Longford bainisteoir's bib instead in 2019.